In today’s developing world, almost every business needs a dedicated software for growth. 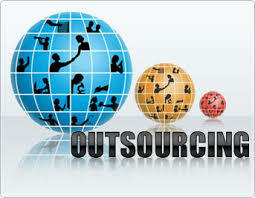 Many business owners and companies outsource software development. The reason behind outsourcing software development is that it is less expensive and allows the IT team of the company the freedom to focus on core business issues. Though this method is lately becoming popular, there are certain myths associated with software development outsourcing which makes the companies flinch from adopting this method completely. However, there is not much truth attached to these concepts. The software development companies these days are trying hard to remove these misconceptions. Myth– The software developed by outsourcing will have cultural and communication barriers: many companies believe that software that is developed through outsourcing will have communication barriers as the companies might be from culturally different backgrounds. Fact– the companies in India have started using agile methods and have been using various communication methods such as sms, emails, calls etc to ensure proper communication and eliminate problems. Myth– the software development outsourcing company may use a different procedure which might create confusion in handling with the IT department of my company. Fact– software development companies also provide customized software development which is designed according to the needs and working methods of the client. There is no scope of confusion and still if any confusion arises, the software development companies like Techno Softwares also provide round the clock customer support. Myth– software development companies don’t allow changes in the software. Fact– the software development companies these days design scalable software which can be changed are modified according to the business needs of the client. Techno Softwares also designs scalable software. Myth– software developed by outsourcing is not technologically updated. Fact– software development companies use the latest technologies to design the software and adjust them to suit the business requirements of the client. Myth– outsourcing doesn’t encourage team spirit. Fact- on the contrary, software development companies encourage the team members from the client’s company to actively participate in the development process and ensure that they work as a team. This proves that it is always beneficial to outsource software development to reduce cost, labour and get technologically sound software suiting your business needs.